In the North West of Mauritius, Trou aux Biches has long been known as one of the most beautiful places for its sandy beach extends between coconut trees and emerald waters of a friendly lagoon. Les Villas de Trou aux Biches is a set of two private bungalows, on the beach, right in the middle of the bay between Trou aux Biches and Mon Choisy at the place known as La Pointe au Piquet. 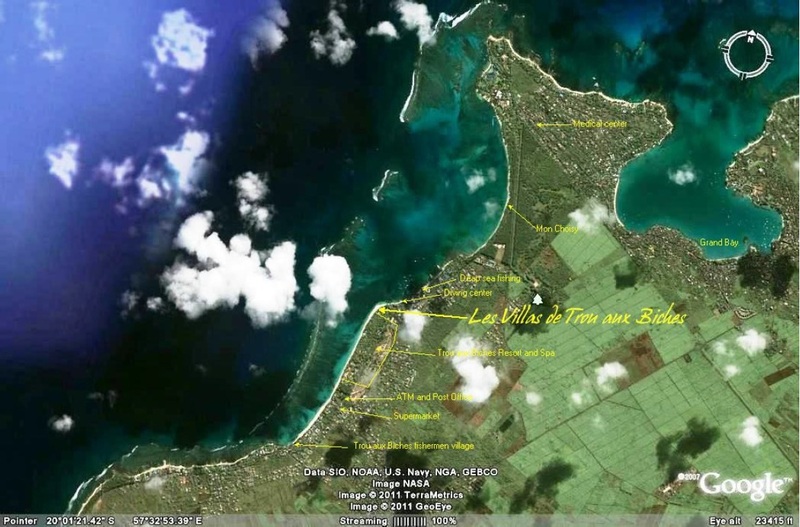 From there you may view the whole bay of Trou aux Biches and the bay Mon Choisy sitting in a large garden where sunshades and deck chairs are waiting for you in the shadow of Coconut trees and other typically Mauritian Veloutier, Flame Trees, Badamier…. over this beautiful scenery taking a seaplane next to your villa. Every nautical activity is there. Vallee de Ferney, or the Crocodile Park..